This straightforward text, primer and reference introduces the theoretical, testing and control aspects of structural dynamics and vibration, as practised in industry today. Written by an expert engineer of over 40 years experience, the book comprehensively opens up the dynamic behavior of structures and provides engineers and students with a comprehensive practice based understanding of the key aspects of this key engineering topic. 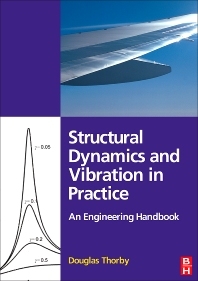 Written with the needs of engineers of a wide range of backgrounds in mind, this book will be a key resource for those studying structural dynamics and vibration at undergraduate level for the first time in aeronautical, mechanical, civil and automotive engineering. It will be ideal for laboratory classes and as a primer for readers returning to the subject, or coming to it fresh at graduate level. It is a guide for students to keep and for practicing engineers to refer to: its worked example approach ensures that engineers will turn to Thorby for advice in many engineering situations. Retired Aeronautical engineer, ex-senior dynamics engineer at British Aerospace. The author has 40 years of experience of structural dynamics and vibration in the British and American aerospace industries (structural dynamicist for the US Harrier; T45 US Navy Hawk trainer; Lockheed-Martin JSF). This included five years as the UK representative on the Structures and Materials Panel of NATO’s Advisory Group for Aerospace Research & Development (AGARD).